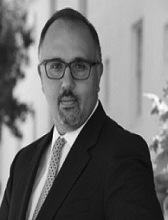 Mohammed M. Hafez earned his Ph.D. from the London School of Economics and Political Science in 2000. He is now an Associate Professor in the Department of National Security Affairs at the Naval Postgraduate School in Monterey, California. Previously, he served as a counterterrorism consultant to the U.S. government and Visiting Assistant Professor of Political Science at the University of Missouri, Kansas City. A specialist in Islamic movements and political violence, his books include Why Muslims Rebel: Repression and Resistance in the Islamic World (2003); Manufacturing Human Bombs: The Making of Palestinian Suicide Bombers (2006); and Suicide Bombers in Iraq: The Strategy and Ideology of Martyrdom (2007). Dr. Hafez also authored over 20 journal articles and book chapters on Islamic movements, political radicalization, foreign fighters, and jihadist ideologies. His current research focuses on rebel-on-rebel infighting and rebel alliances in civil wars. He works with a team to incorporate network analysis to map out insurgent factionalism and assess the role of power and ideology in shaping conflict dynamics. Dr. Hafez regularly briefs government and military analysts on issues related to terrorism, war of ideas, and countering radicalization. Dr. Hafez has made several appearances on NewsHour with Jim Lehrer, NPR, CNN, C-SPAN, and other national and international media outlets. Click here for a full list of published works by Dr. Hafez.